Ricardo Meden Sanjuán, Weatherby AWARD, 1977. The most significant hunting species of the entire Iberian Peninsula that can only be hunted in our country. At the beginning of the 20th century, Ángel Cabrera, one of the most recognized scientists in the world, published his famous work “Fauna Ibérica Mammals” that today, is still a reference for so many generations of researchers. 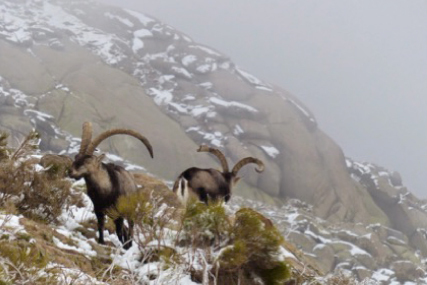 As all hunters know, Cabrera defines four subspecies of the mountain goat, as well as basic information about the distribution of black spots on the body, to define its age. 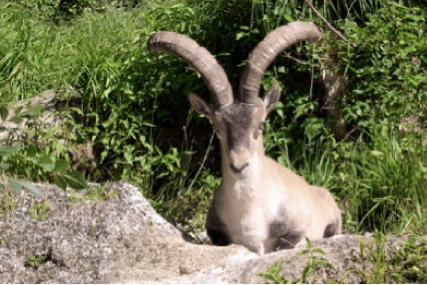 It is the most representative of the four, being the longest trophy and is in the form of a lyre. Morphologically it is the darkest. There is possibility of hunting on horseback. The Sierra de Gredos is located 200km from Madrid, between Talavera de la Reina and Cáceres. It has an extension of 80,000 Ha. And the highest peak is the Almanzor with 2,592 m.
His trophy is characterized by having them open in the form of an airplane. 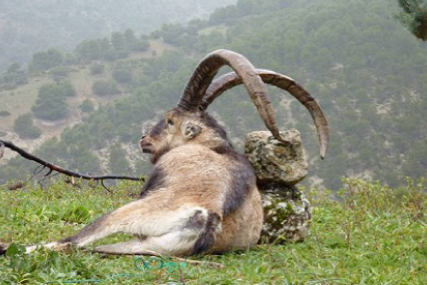 This species is located between Teruel and Castellón, with an extension of 29,234 Ha. 400km from Madrid, between Barcelona and Valencia. The vegetation and fauna is typical Mediterranean, forests of pines, bushes and rosemary plants. The smallest species of the 4, both in trophy and body. The reasons are due to low altitude, extreme summers and relatively dry conditions. Although it is found in low mountains, the bushes and vegetation make it difficult to move through the mountain. Small trails are used to detect them. The population of this animal is good, old males abound, especially during heat, where they travel long distances in search of receptive females. It does not have gray and black hair like the others. Its location is between Ronda and Grazalema, in the province of Málaga and Cadiz, Andalusia. The hunting area covers an area of ​​more than 15,000 hectares and is located in the southeast of Spain. This subspecies of male montes is found particularly in the provinces of Granada and Almeria. To get to the hunting area, we must have about 4 hours from Madrid. 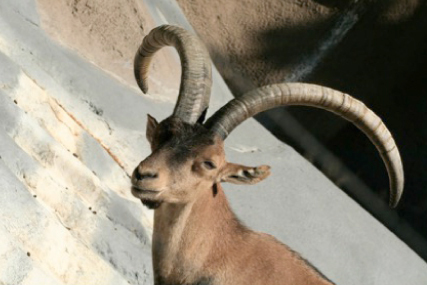 Its horns follow an extraordinary curve behind. The hunting area in very steep with difficult access which makes it more exciting and complicated his abbe.